The largest mangrove eco-system in the world, Sunderbans, a UNESCO World Heritage Site, is the hub of ‘Royal Bengal Tigers’. Embark on a 4 nights luxury cruise in largest estuarine national park in the world. It is set on the vast delta formed by the convergence of three famous rivers- Padma, Brahmaputra and Meghna. 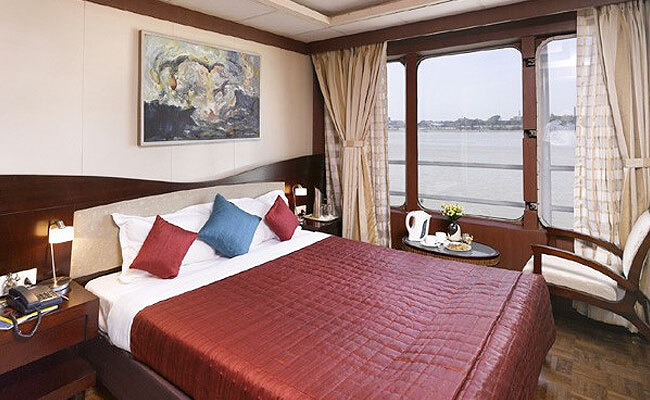 Vivada Cruise aboard MV Paramhansa let you sail through the world of roaring tigers. Consider it your lucky day, if you catch the glimpse of the ‘Big Cat’ swimming while cruising through the streams of Sunderbans. Upon arrival at the airport, our tour representative will meet you and assist you in smooth transfer to the hotel. Spend the day in leisure followed by overnight stay in Kolkata. Today, in the morning, get transferred to the Millennium Park Jetty. In the afternoon, the cruiser will start sailing along the beautiful river Ganges towards the south. 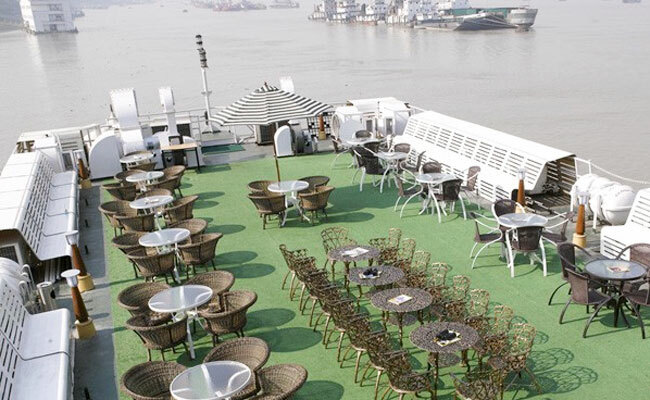 Take delight in the serene views of the river Ganges as the cruiser passes through various heritage sites. After a few hours of cruising, the cruiser will anchor at Namkhana, a fisherman's cove and entrance to Sunderbans. Early morning, the cruiser will start sailing towards the east wherein guests have a chance to experience the lifestyle and culture of the local fisherman. After you enter Sunderbans, take a glimpse of the dense mangrove followed by a short excursion to Lothian Island or Crocodile project at Bhagabatpur. 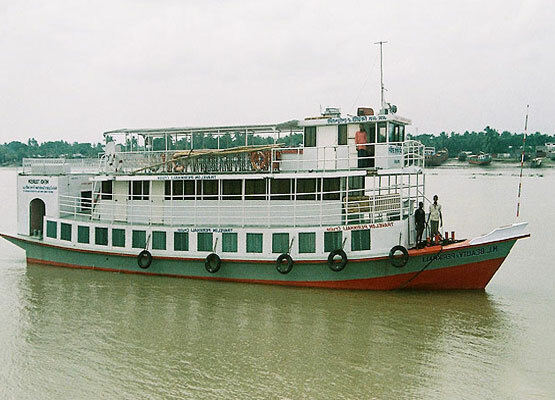 Later, the cruiser will anchor at the confluence of the River Malta and River Bidya. Later, enjoy visiting some exotic islands- Nethidopani, Dobanki and Sajnekhali via small creek boats and witness mangrove species and exotic wildlife. Today, following an early morning breakfast, take an excursion to Bali followed by a visit to the Sunderban Village to witness the daily lifestyle of local people. The natives of this village are quite friendly and welcome visitors with warmth and geniality. Besides, guests will also visit some exotic sites followed by anchor for overnight stay. 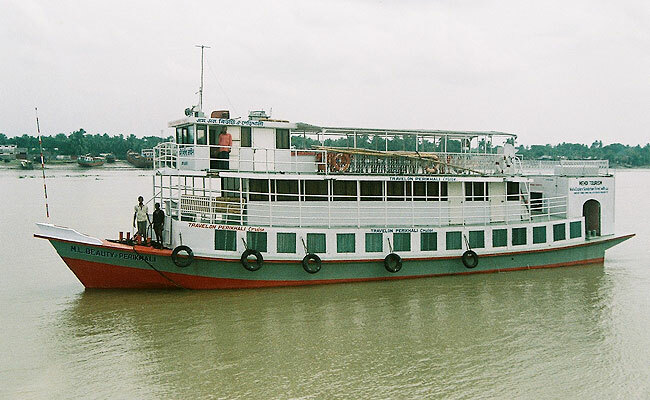 Today, after breakfast, sail back to Kolkata by cruising through the confluence of the rivers-Rupnarayan and Damodar. En-route, you will cross the ancient port of Diamond Harbour and the industrial town 'Haldia'. Post breakfast; disembark the cruiser followed by direct transfer to the airport by afternoon. 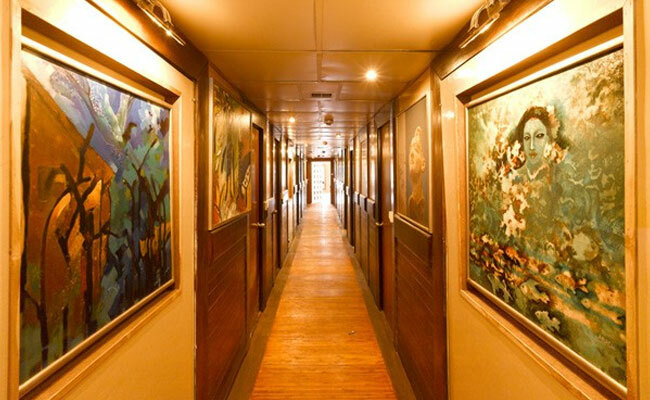 The accommodation at the Sunderban Cruise is provided in terms of Super Deluxe Air-Conditioned rooms fitted with state of the art amenities. There are a total of 32 cabins spread over the four-deck ship. These cabins are segregated as Under Deck, Main Deck, First Deck and Sun Deck. The rooms are well-equipped with temple, book, novels, magazines & newspapers, tea & coffee maker and an emergency kit. The large windows at the rooms offer stunning views of the surrounding places dotted with quaint villages and natural greens. The terrace restaurant at Vivada Cuise's M.V. Paramhamsa vessel has a capacity to accommodate 80 people in total. It offers cuisines from all around the world and a live kitchen to try out local delicacies. The proficient chefs at the houseboat will surely delight your taste buds with an array of multi-cuisine recipes. The fresh food will make your dining a delightful experience.